I have used the groundbreaking research of Brené Brown many times in my day job coaching executives on communication. Specifically, her work on vulnerability and how it is an important part of a great leadership style. 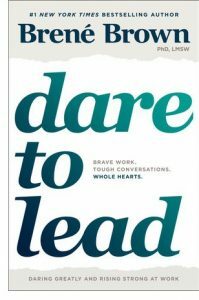 Now, in her new book, Dare to Lead: Brave Work. Tough Conversations. Whole Hearts. Brené Brown makes my job much easier by providing the perfect primer for anyone looking to lead – in business and in life. Dare to Lead by Brené Brown is available from Amazon and other fine bookseller everywhere. Lost Cowboy is powered by	WordPress 5.0.4 and delivered to you in 0.870 seconds using 40 queries.